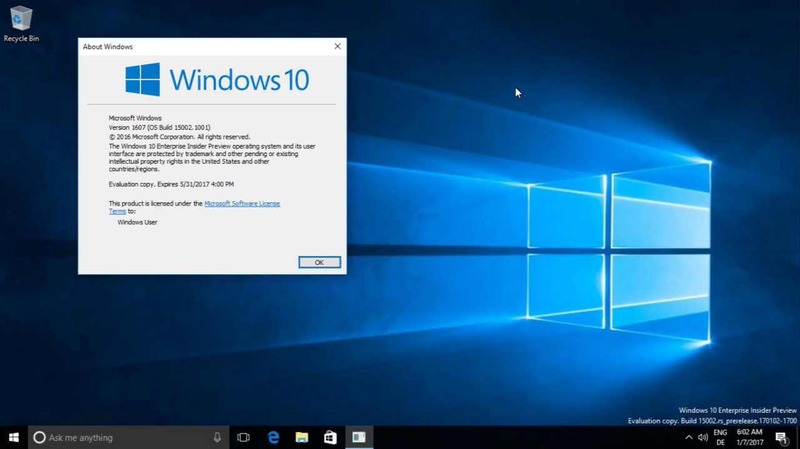 Microsoft Windows 10 build 15002 (15002.1001) leaked online. Microsoft by mistake posted BaseImage-15002.wim (build 15002 image) file online. However, the link is now removed by the Microsoft. Recently, Windows 10 build 14997 was also leaked. Recently, Insider team head Dona Sarkar informed Insiders that week’s build (15002) is canceled due to the problem with the update path. Means that you would have to reinstall the build. That is why they have not been released for everyone. [New] A new toggle option that allows for the exclusion of driver updates when using Windows Update. [New] The Continue App Experiences feature has been renamed Cross-Device Experiences. The new setup UI comes with Cortana and allow the user to control the setup process with voice commands. The setup has a new status bar with Cortana-related options. The Settings app now has the ability to change a theme in Windows 10. Microsoft has enabled a new theme selection setting, apart from the classic Control Panel. This build also includes Blue Light reduction feature. It can be enabled automatically or manually by the user. Microsoft Edge includes a new feature, “Set Tabs Aside” and “Show/Hide Tab Previews” to show their previews. With ‘Set Tabs Aside’ feature, you can save your tabs and restore them later. This build also includes a new app folder on the Start Menu. This feature is already available on Windows 10 Mobile devices, it allows you to combine multiple app tiles into one folder. The live tile supported apps will still show the live tiles within the app folder. There is also a new share interface which appears once you click the share option. The new sharing UI pop up on the top of app or window with the list of apps which you can use to share a file. WalkingCat spotted the link and posted. You can find Windows 10 build 15002 (15002.1001) BaseImage-15002.wim leaked image online. You will more details how to install build 15002 here. Of course, we are not posting any unofficial Microsoft links here.